The new QHD display with its 2,560x1,440-pixel resolution, LTE data speeds, a great camera and a nappy quad-core processor makes LG G3 finally the right phone to challenge Korean rival Samsung. No matter how smart it is, data loss is inevitable. 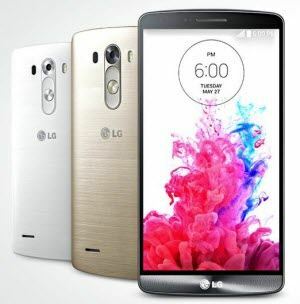 If you unfortunately lost data on your new LG G3, you should find an efficient way to recover data from LG G3 phone. Android Data Recovery Pro for Windows users and Android Data Recovery Pro for Mac can help you to do that. 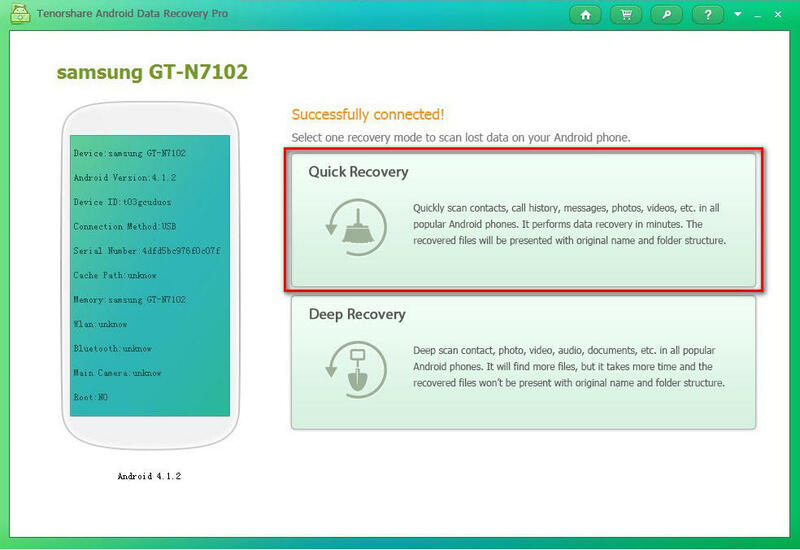 Android Data Recovery Pro can recover data on your LG G3 lost due to the following reasons. You deleted a photo by tapping the wrong button. The Micro-SD card is formatted without backup. You rooted your phone and lost all the data. All the data are disappeared after flashing ROM. Restore your device to factory settings. Android system crashed and data are inaccessible. How to Recover Contacts, Photos, Text Messages and More Data from LG G3? The steps to retrieve lost files from LG G3 by using Android Data Recovery Pro for Windows and Android Data Recovery for Mac are quite similar. Here we take the Windows version for example. If you're using Mac OS X 10.10, 10.9, 10.8, click Android Data Recovery Pro for Mac for reference. 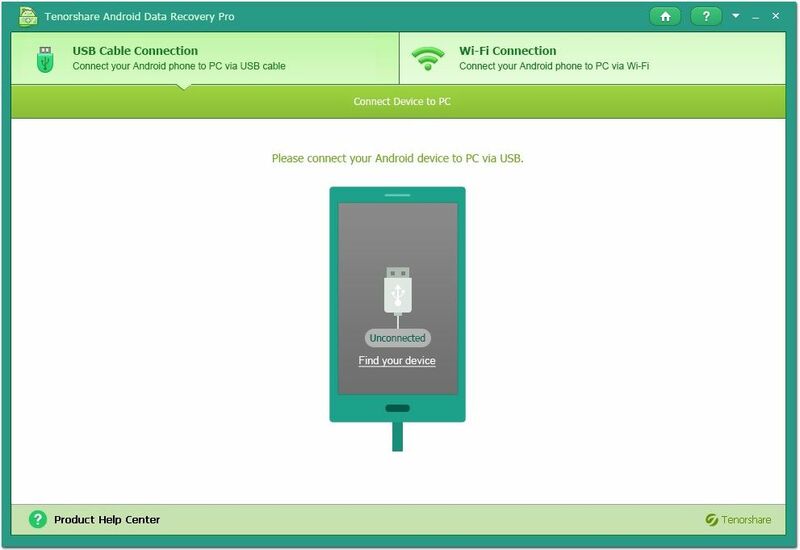 Connect your phone with this program: either via Wi-Fi or via a USB cable. Select one and follow the tutorial written on the screen. Tap "Allow" on your phone when this software detects it. And then select one recovery mode to scan: Quick Scan or Deep Scan. All the lost files will be shown for preview. 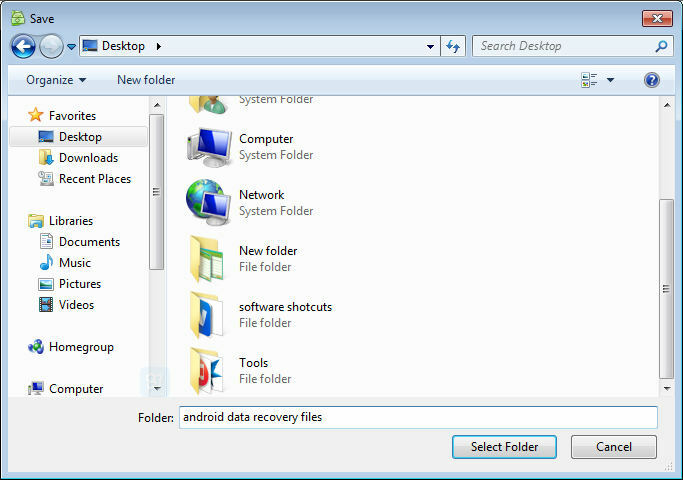 Select the ones you want to recover and click "Recover". 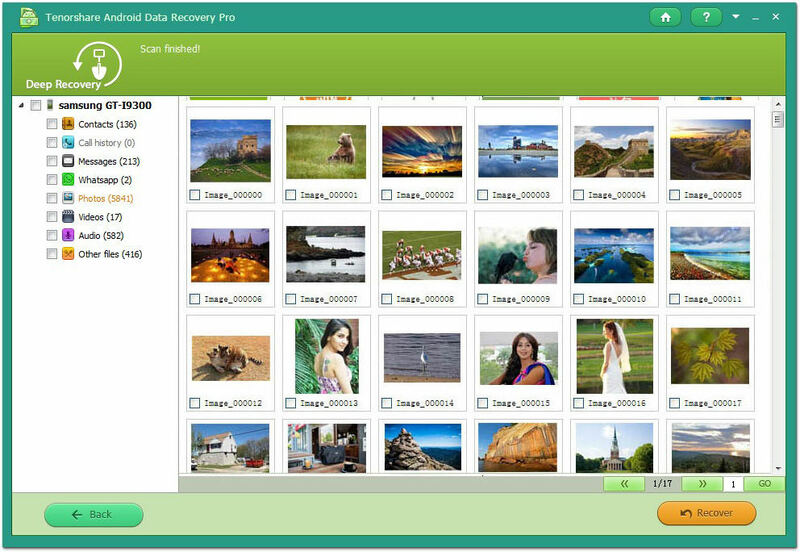 Select a location on your phone to save the recovered files. Text files like contacts will be saved in TXT, XML, or XSL; for media files like photos, videos, just save them in the original formats. That's it! Your data are back. If you're looking for solution to recover data on Samsung phone, you can check this post.